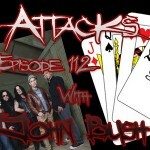 During this expanded edition of the Mars Attacks Podcast we bring you an extra special interview with none other than John Bush, the legendary lead singer of Armored Saint, and ex-lead singer of Anthrax. 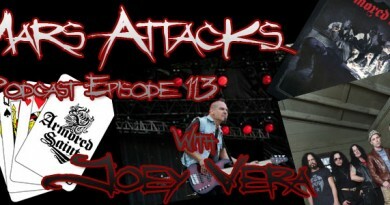 We obviously discuss his years in Armored Saint, their latest album La Raza, his tenure in Anthrax, almost joining Metallica, and how Armored Saint has been mentioned incorrectly during Metallica’s documentary Some Kind Of Monster, and Motley Crue’s The Dirt. During the course of the episode you will also hear tracks from throughout John’s career. Songs off of not only La Raza, but Revelations, Symbol of Salvation, and a re-worked version of the classic track March Of The Saint. You will also hear some Anthrax, and tracks that he collaborated with Peter from Soilwork, and Six Feet Under.